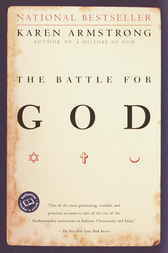 "One of the most penetrating, readable, and prescient accounts to date of the rise of the fundamentalist movements in Judaism, Christianity, and Islam." "EXCELLENT . . . HIGHLY INTELLIGENT AND HIGHLY READABLE . . . This is a book that will prove indispensable . . . for anyone who seeks insight into how these powerful movements affect global politics and society today and into the future." "ARMSTRONG SUCCEEDS BRILLIANTLY . . . With her astonishing depth of knowledge and readily accessible writing style, [she] makes an ideal guide in traversing a subject that is by its very nature complex, sensitive and frequently ambiguous." "A USEFUL AND REWARDING BOOK." Karen Armstrong is one of the foremost commentators on religious affairs in both Britain and the United States. She spent seven years as a Roman Catholic nun, took a degree at Oxford University, teaches at Leo Baeck College for the Study of Judaism, and received the 1999 Muslim Public Affairs Council Media Award. Her previous books include the best-selling A History of God: The 4000-Year Quest of Judaism, Christianity, and Islam; Jerusalem: One City, Three Faiths; and In the Beginning: A New Interpretation of Genesis.